There’s nothing more festive as Cheam at Christmas time. 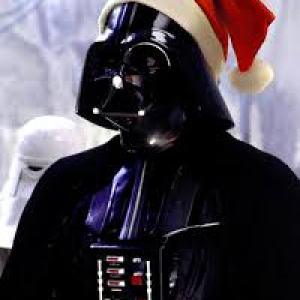 4th December Christmas lights will be turned on by Darth Vader and Stormtroopers. Please come and join us dressed as your favourite Star Wars character or Princess. Whether you like to get your Christmas shopping done early or you leave it till the last minute our market stalls and shops will be open late. The Cheam Chamber of Trade’s Late Night Shopping Event attracts over 3,000 visitors to the Village every year. The Event is held on the evening of the first Friday of December and falls this year on the 4th of December 2015. 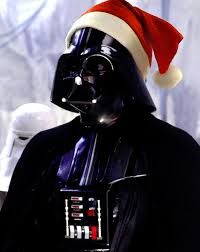 This year’s theme is Star Wars and will feature Darth Vader switching on the Christmas tree lights at the Cheam War Memorial Green outside Cheam Library. The evening will include various sub events at Whitehall, Cheam Library, Cheam Baptist Church and at shops and venues in the Village. Radio Jackie will provide music and entertainment on the night and there will be up to 30 stalls with crafts, toys, jewellery, wood products and various food and drink on offer. Fairground rides and children’s activities will also be in place. Radio Jackie’s Mobile unit Van will add to the Entertainment. 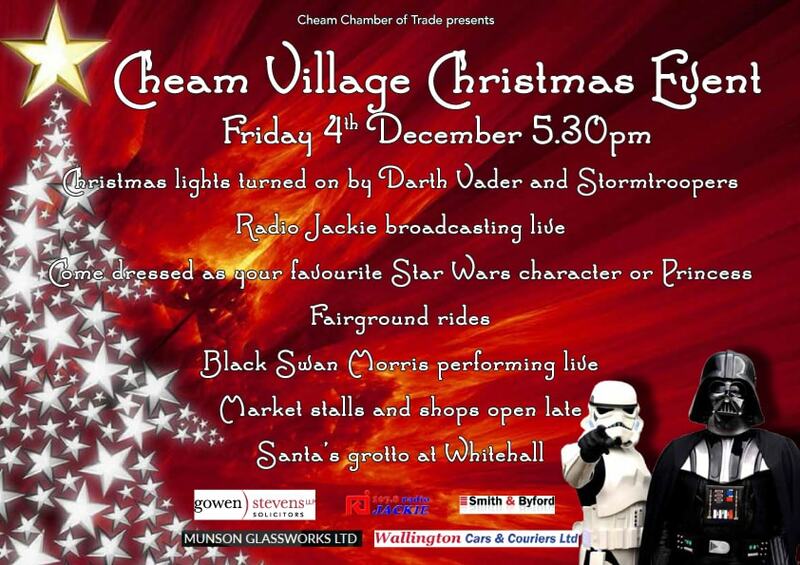 The Cheam Chamber of Trade’s Late Night Shopping Event attracts over 3,000 visitors to the Village every year.The Event is held on the evening of the first Friday of December and falls this year on the 4th of December 2015. The event costs several thousand pounds to produce, even though all the work is put in by volunteers and traders and so we are looking for an increased level and number of sponsors. 6pm St Cecilia Chorus – performs regularly at St Andrew’s Cheam, will bring a group of around 20 to sing Carols at the Memorial Green Outside Library. 6.30 pm St Cecilia Chorus continue with Carol Singing at the Momorial Green. 7.00 pm St Cecilia Chorus continue with Carol Singing at Crossroads alongwith two other Choirs..